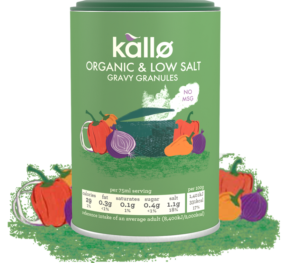 Kallø, the pioneering food brand owned by Wessanen UK, has announced the launch of a new organic gravy that contains the lowest levels of salt in the UK. Offering a host of nutritional benefits, the low-salt variant is also gluten-free and contains no artificial ingredients or added MSG. Bolstering Wessanen’s growing meat-free portfolio, the new gravy is also suitable for vegans. Kallø’s low salt and organic gravy granules were developed to help families looking for better-for-you products in bigger pack formats. With no other gravy brand fulfilling all five nutritional benefits, Kallø’s strong point of difference makes it well positioned to meet the needs of families wanting to cook healthier meals from scratch at home. The new product joins Kallø’s growing portfolio of stocks and gravies that also includes organic stock cubes, organic stock pots and very low salt organic stock cubes. The brand, which recently earned its B Corp certification alongside brand owner Wessanen UK, is committed to help consumers to make more natural, healthier food choices in the snacking and stocks & gravies categories. 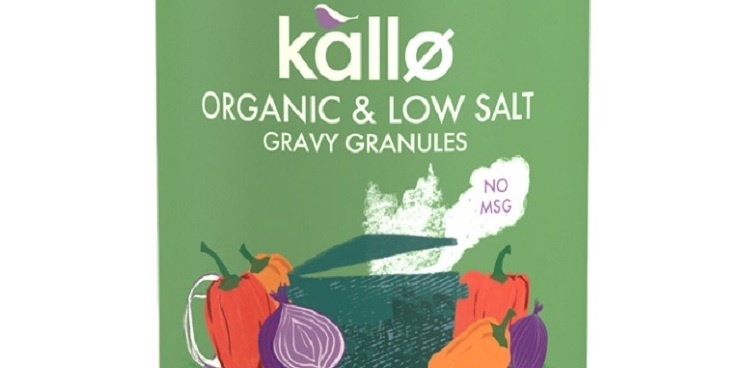 Kallø’s low salt and organic gravy granules (RRP £2.99) are available from March in Waitrose. Wessanen UK and Kallø are part of the powerful B Corp movement which brings together like-minded sustainable and responsible businesses to make a positive impact on society and the environment.